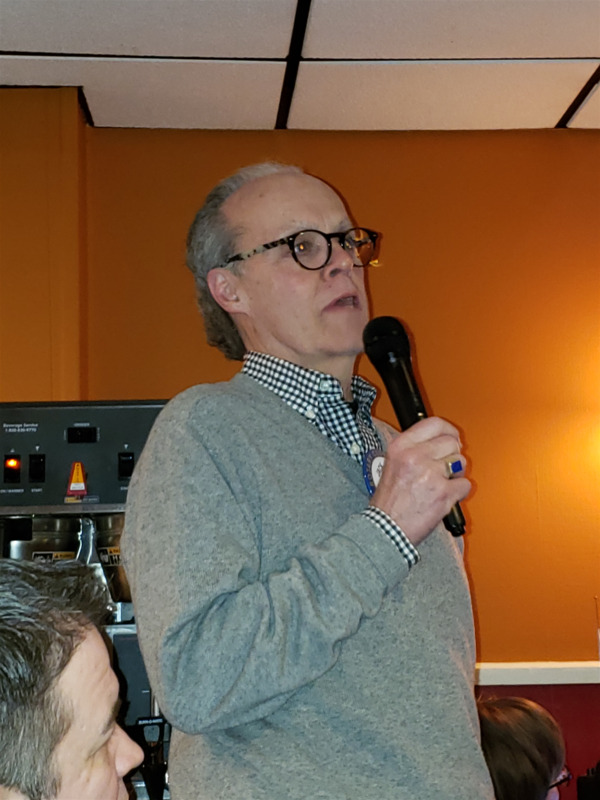 Jack Harnish presented his new member bio on March 12. Jack is a retired United Methodist Church pastor who lives on Platte Lake with his wife of nearly 50 years, Judy. Jack is a member of the Board of Adrian College and a former Board member of the Baltic Methodist Seminary (Estonia). He is currently President of the Board of the Advocates for Benzie County (ABC). He is also a weekly columnist for the Benzie County Record Patriot. He and Judy travel extensively including the Baltics, Angola and Cuba. A highlight of his trip to Cuba was meeting with Fidel Castro who spoke with his group for 8 hours. Among his proudest accomplishments is the fact that he has baptized all of his grandchildren.